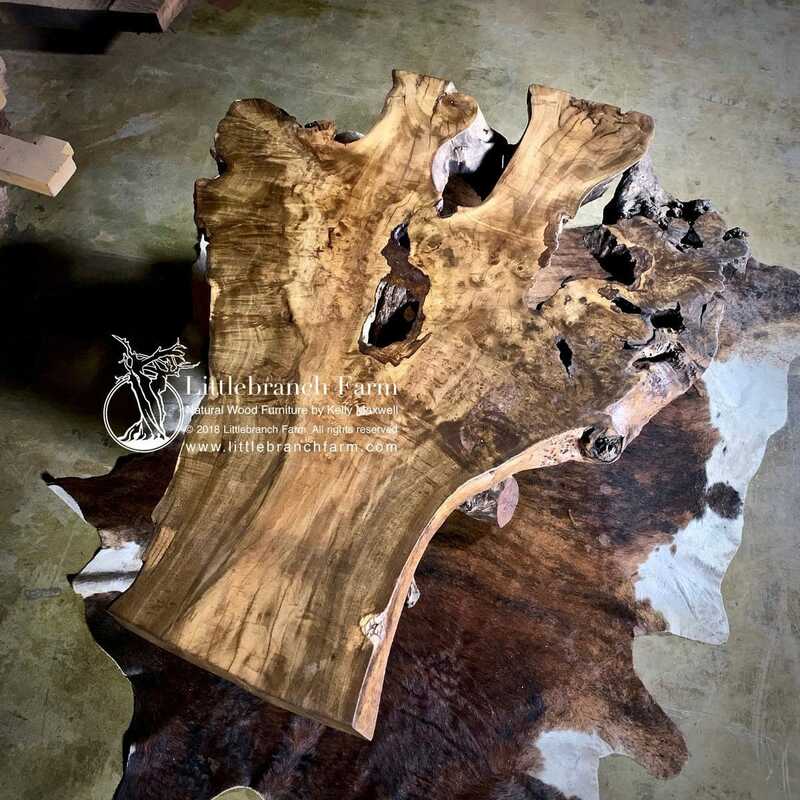 Live edge coffee table highlights the natural wood beauty of Myrtle Burl. 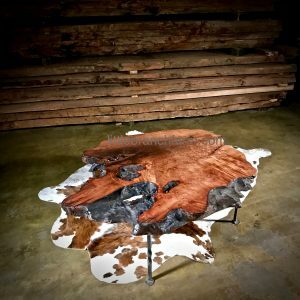 This natural wood coffee table has an organic redwood root base. 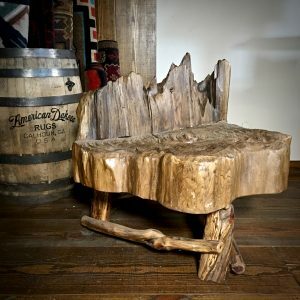 Because this raw edge wood finds its roots literally in a root. 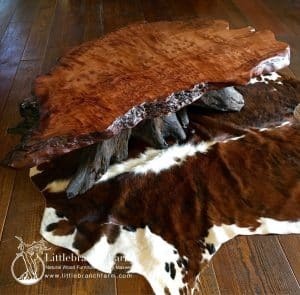 Cut from a salvaged myrtle tree this wood slab finds new life as a live edge table. As with our natural wood furniture no two wood furniture pieces are the same. 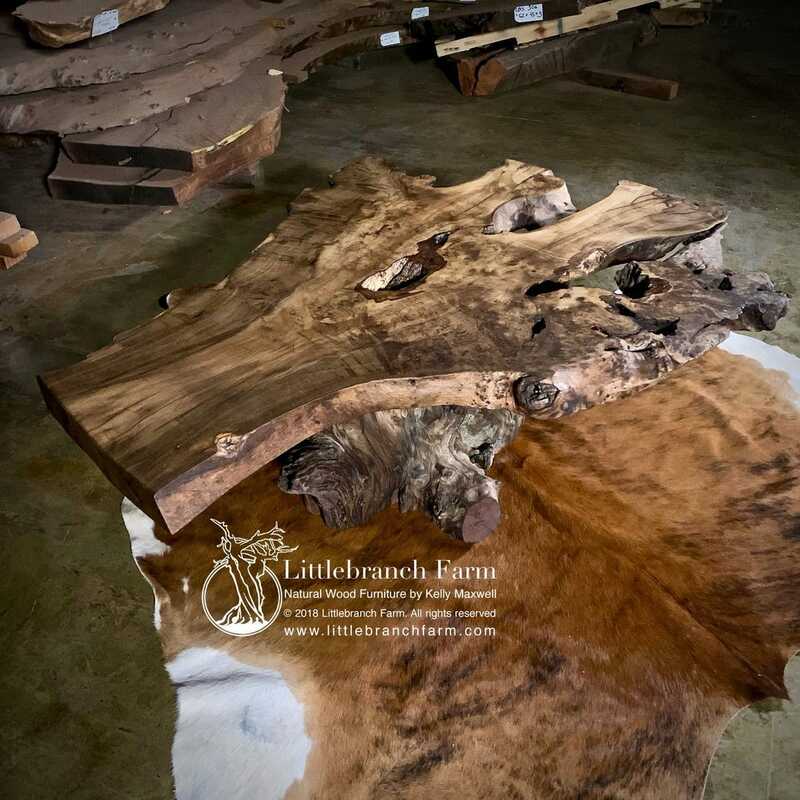 We also offer old-growth Redwood and Buckeye Burl. 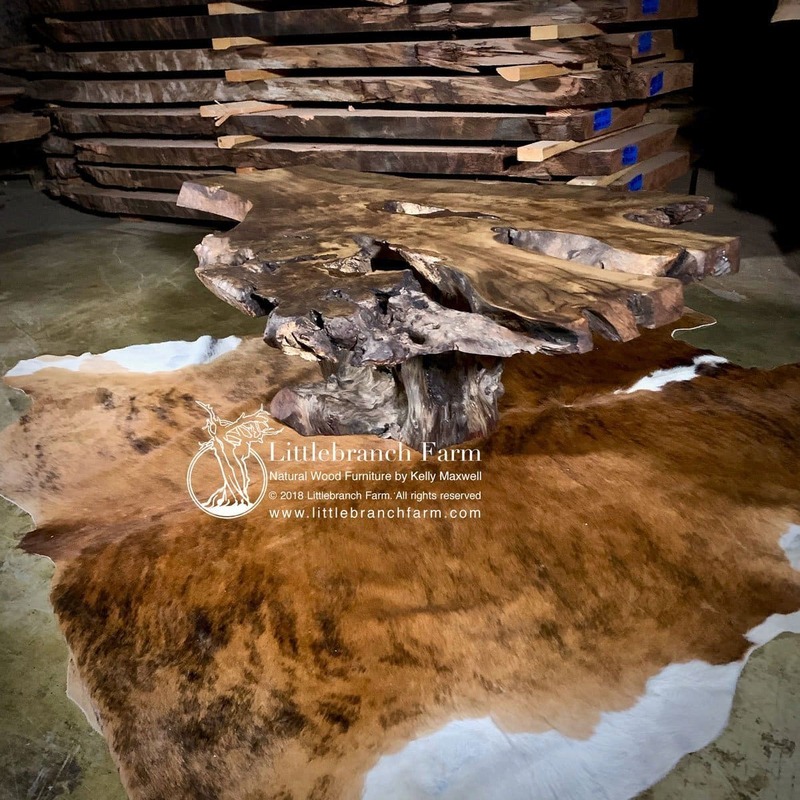 Along with Maple burl, walnut, and other unique wood slabs native to the USA. 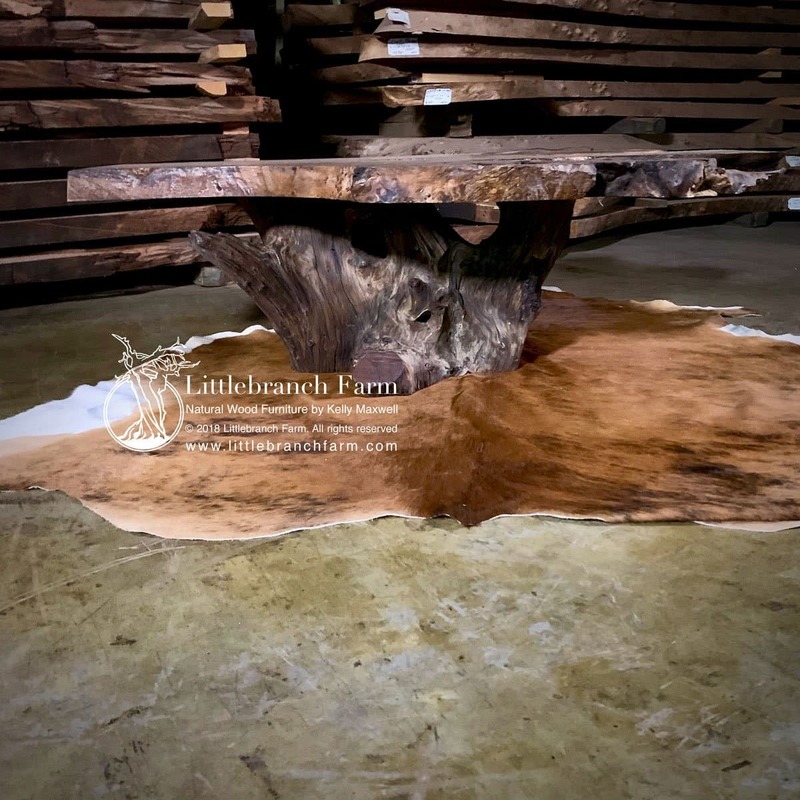 Sadly the myrtle burl is limited availability and production. Your tables are beautiful. When I get one it will really tie the room together. May I order one and make payments. Pay it off and then you send it. I am very interested. One of your tables is a must have for me. Well yes, you can purchase a custom piece over time. My standard time frame is 12 months max to pay off the table. I do not start the table until 50% is paid. 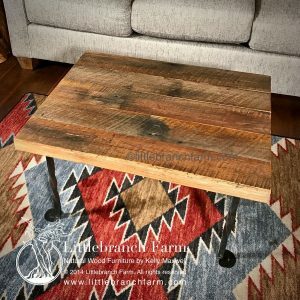 What size table are you looking for? We look forward to working with you.